Duchess of Cambridge Catherine visited the community centre of Rugby Portobello Trust in north Kensington to join children and families to celebrate the work of the trust. The Trust runs programmes for children and parents such as homework clubs, sporting activities, social groups and tuition. RPT works with local young people to help them overcome disadvantages by providing a positive alternative to a life of crime, deprivation and social exclusion. Kate arrived at the community Centre. The event was organized to support the victims of Grenfell Tower. 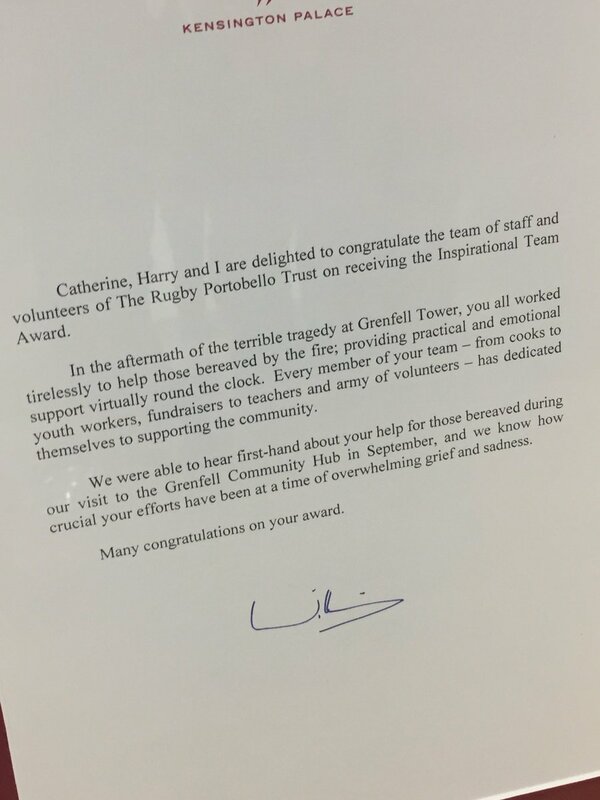 The Rugby Portobello Trust has been pivotal in supporting people affected by the Grenfell Tower fire. Duchess met the families in private. Afterwards, they posted a thank you message outside the door. 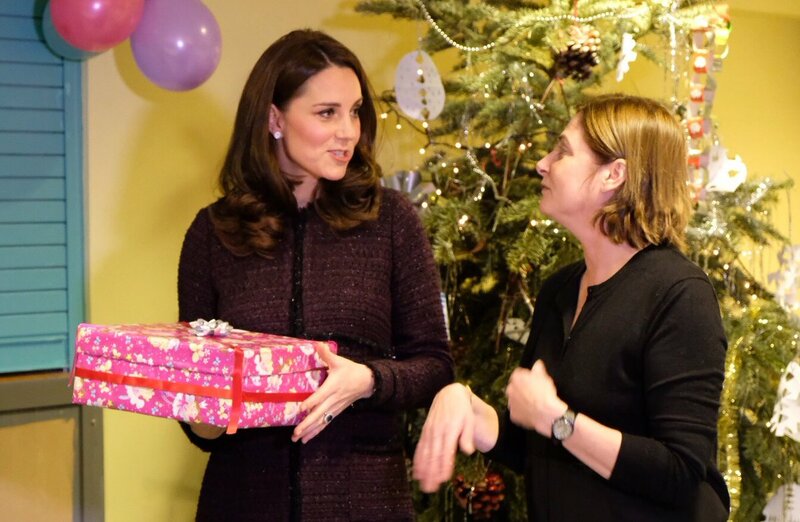 Duchess attended the Magic Mums Christmas party and handed over the Christmas presents to mother and toddlers. At party Duchess was in complete mother mode and was really excited and happy to meet young kids and toddlers. Duchess was given the tour of the centre and briefed about the activities. 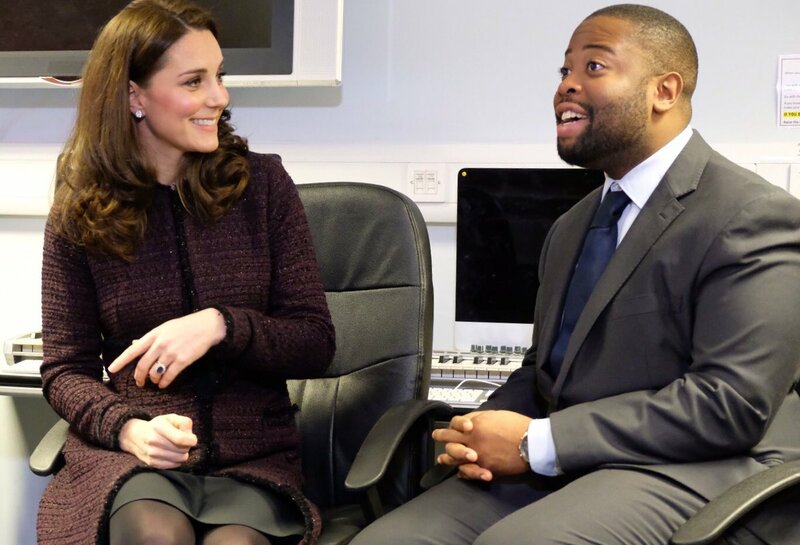 Then Duchess Kate met the young people taking part in a Rugby Portobello music workshop. Duchess Catherine met with staff and volunteers and discussed about the Trust’s range of support services for the local community. Kate was in festive mood as she helped set up for a Christmas party which will took place at Trust’s community centre later in the day. Duchess presented a letter of appreciation from Prince William, her and Prince Harry. Catherine praised the work of staff and volunteers of the Trust. Before leaving, Duchess was presented with a bouquet of beautiful flowers. For the day, Duchess brought one of her favourite maternity label back from her wardrobe. She chose Seraphine Marina Maternity Coat that she first wore during during a trip to New York in 2014 when she was expecting Princess Charlotte. The MARINA maternity collarless style coat made of luxurious wool tweed bouclé. Subtle silver threads add a touch of sparkle to the rich purple hue. The long-line silhouette is accented with a delicate frayed trim and finished with black velvet ribbon and finishes above the knee and features a flattering defined empire waistline. The coat remains available at Seraphine for £275.00. Duchess paired the coat with a black midi dress, her recently go-to pair of footwears, TOD’s black block-heeled suede pumps. 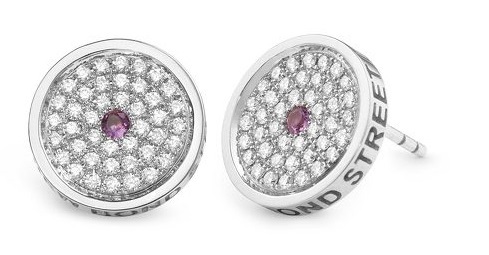 She accessorized her looks with Asprey London Pavé diamond 167 Button earrings with a central amethyst stone, all set in 18ct white gold and available for $4800 at Asprey. 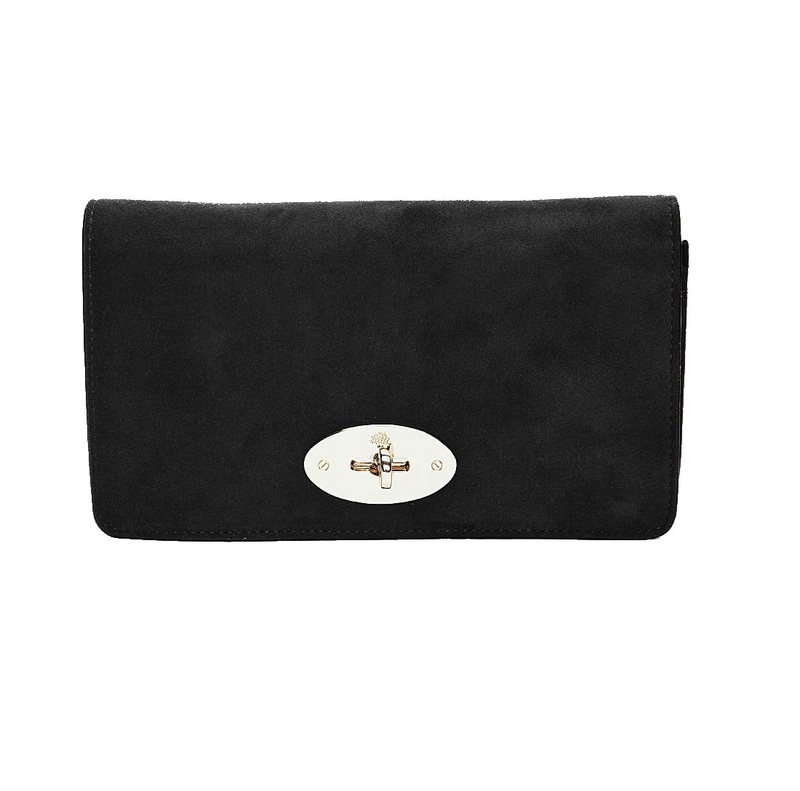 It seems recently Duchess is avoiding the hassle of changing clutch and once again opted for Mulberry ‘Bayswater’ black suede clutch.